I am back today with my second card for the Clearly Besotted December countdown teasers. 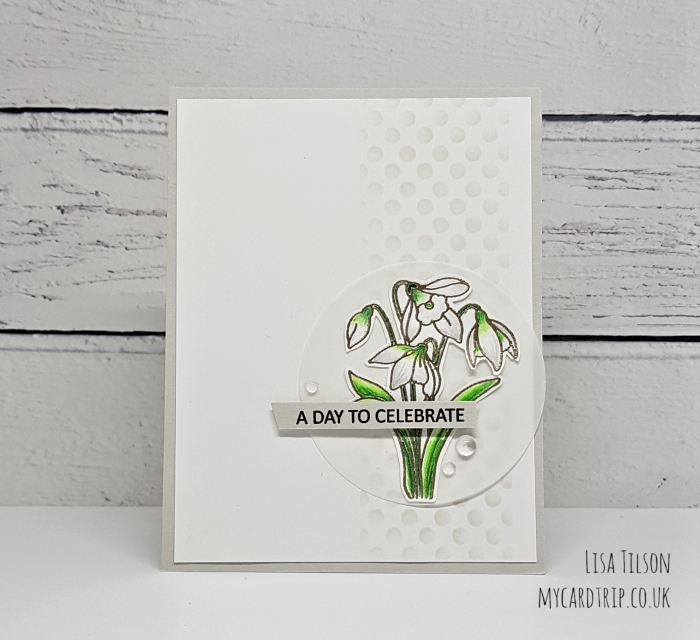 Today I have a celebration card for you using a beautiful Snowdrop image from another new mini A7 set called Just A Drop. This set also contains a super pretty fuchsia image but I adore snowdrops and I love seeing the first of them appear, so delicate and beautiful. This card is very clean and simple and has soft pastel tones to mark the snowdrop image. To begin, I stamped the image onto Neenah 80lb using Versamark ink and heat embossed it with Ranger Liquid Platinum embossing powder. I coloured with with Faber Castell Polychromos pencils then fussy cut it but there are coordinating dies available. I die cut a MFT circle from vellum and adhered the floral image using DST (wet adhesive is easier but it can warp the vellum if you put too much on). For the background I masked a vertical area on some Neenah and stencilled Fog Ink through the Basic Spots II stencil. This panel was trimmed and matted to a Fog cardstock base card. The vellum was then adhered using little pieces of DST behind the snowdrop. To finish the card, I stamped a greeting from All Year Round again onto Fog cardstock and popped this up with foam tape. Raindrops from Lucy’s cards were adhered to embellish the card. That finishes today’s card for you – perfect to send to someone with a winter birthday or any celebratory event. 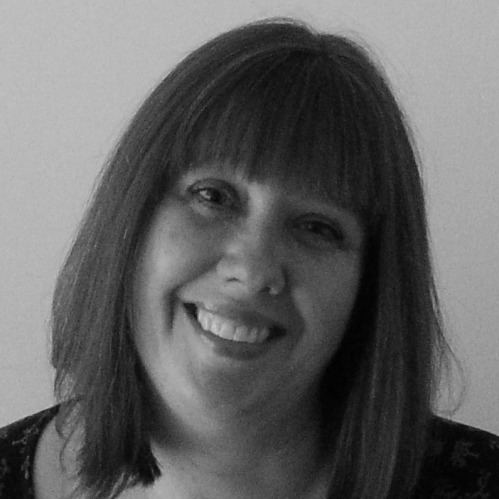 Please hop over to see what all the other ladies have designed for you today – Stephanie, Michelle and Keren. Lovely card! These flowers are so pretty! That platinum powder is gorgeous, thank you for the introduction to that. The snowdrops are so beautiful & delicate, another triumph for Clearly Besotted. Fantastic colouring with the polychromos pencils.